In many ways, Chicago is the heart of America. Throughout its history, Chicago has been the transportation linchpin, connecting the country via first water, then rail, and ultimately air. Through its connections, the city has provided agricultural products, raw materials, manufactured goods, and commercial products coast-to-coast. This site is dedicated to exploring and recognizing Chicago's rich history, particularly its essential role in the development of the U.S. air system. Here you will find fascinating information and essential resources on both Chicago and aviation from their beginnings to the present day. 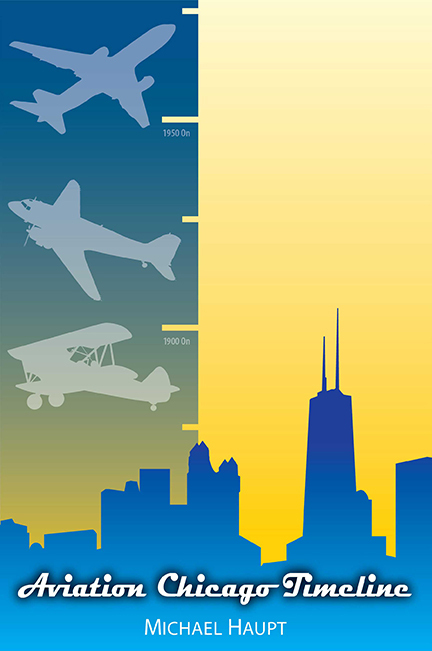 Our new book Aviation Chicago Timeline, is now available in both hardcover and paperback. Check back frequently to see how we grow and develop.